Thank you to David and Emilie Riss of Stacy Mountain Farm in New Hampshire, who sold pumpkins in aid of The Kasiisi Project Farm. 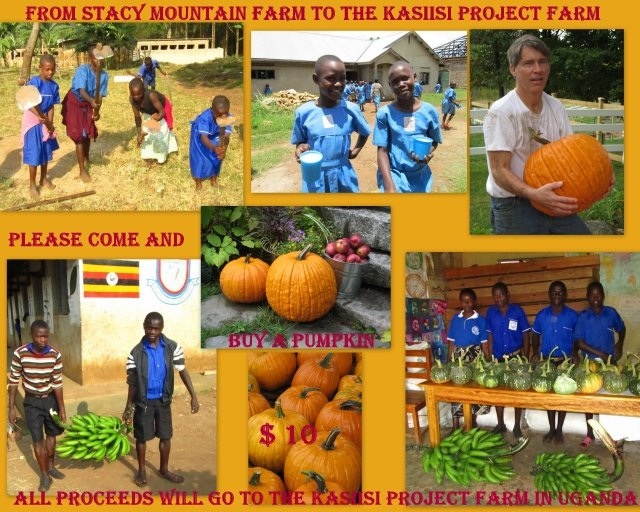 They raised $400 which will be used to buy a water tank for Joseph our farm manager. This entry was posted in Porridge and Farm Project. Bookmark the permalink.